Uses: It not only relieves the human body from the pain caused by the accumulation of toxins, it also lowers blood pressure and reduces fat. This oil is used in very high quality perfumes, soaps and oils, its rare and costly Essential Oil. Herbaceous in nature, the plant in predominantly cultivated in Europe, especially in Belgium, Germany and France. The Angelica plant is known to grow in colder climates like Russia and Norway. The plant is best harvested during warmer conditions. Harvesting leaves can be done at any time of the year. The seeds should be harvested before they turn green to yellow. The root is harvested in autumn season. The plant has been cultivated from the 10th century as a medicinal and vegetable plant. It has played vital roles in both human mental and physical wellness for centuries and still continues to play important roles promoting new avenues for human wellbeing. The oil is extracted through steam distillation of the roots. 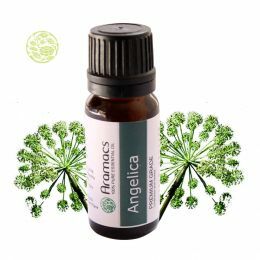 The essential oil of Angelica has been used for more than 500 years in ancient and traditional medicine. Digestion: The oil is used as a digestive aid. It stimulates the secretion of digestive juices thus promoting digestion. In addition, it promotes proper movement of food through the intestines and easy absorption of digested food by the intestinal walls. The oil is used for indigestion, flatulence and dyspepsia. 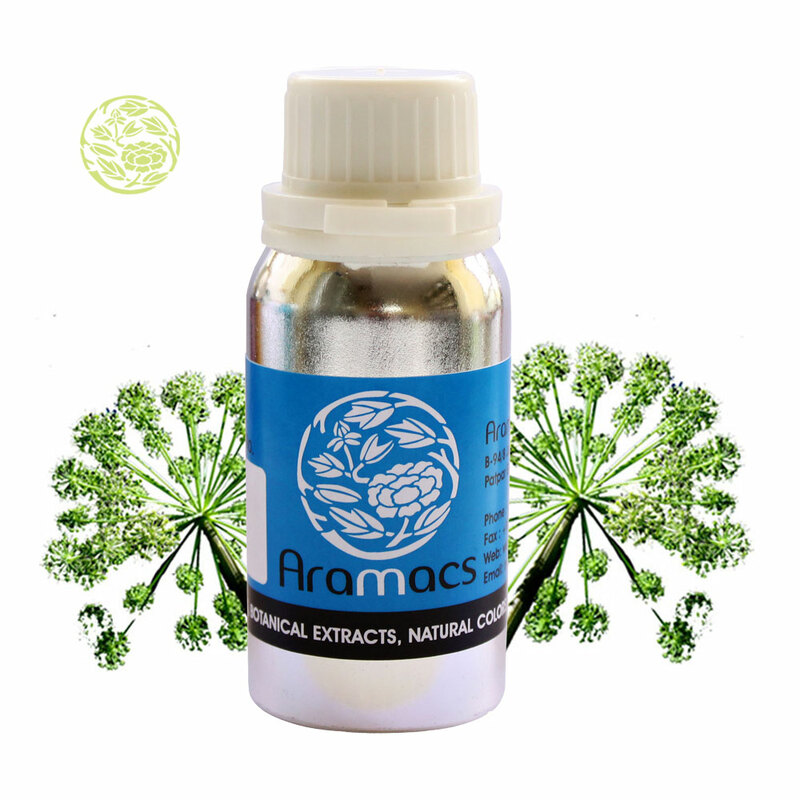 Muscles: Angelica oil is known to relieve pain from joints, muscle aches, stomach ailments and rheumatoid arthritis. Depurative: The oil is an efficient blood purifier. 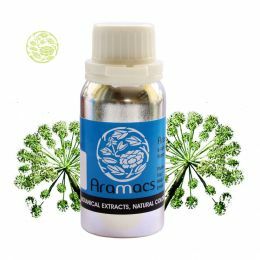 Angelica oil acts as both diuretic (promotes urination) and diaphoretic (promotes sweating) thus speeding up the process of the elimination of toxins from the body. Hepatic: The essential oil of Angelica offers good protection to the liver. It stimulates the secretions of the liver and protects the liver from infections. Massage Oil: Angelica oil is used as massage oil or in bath assisting the lymphatic system, detoxification, and fights fungal growths. Relaxant: Angelica oil relaxes the body and the mind. This plays an important role in situations of hypertension, shock, negative feelings, depression and anger. Carminative: The oil is well known in the relaxation of intestinal and abdominal muscles and drives out the gas from the intestine. The oil acts as a stimulant, tonic, stomachic, nervine, hepatic, expectorant and much more. This essential oil is also used in perfumes, oils and soaps. In some cultures, Angelica oil is believed to connect the physical consciousness with spiritual consciousness and the practice has grown in popularity. It is also called as "The Holy Ghost Oil" is some cultures. The western world calls the essential oil of the root of Angelica as "The Oil of Angels". This is one such scent that I have been waiting for since last few years. I used it after a friend recommended it to me and I must say it’s perfect for me. I have used this oil for variety of purposes and I am highly satisfied with your product. This is the first time that I have bought angelica oil from your website and I must tell you it’s a great product. I have also been using the other products from this seller and I am quite content with the service. I started using aromatherapy products not very long ago but I must say that Angelica oil of essential oil company has impressed me a lot. This mystic oil did not only have a refreshing aroma but also can be used for various applications. It gave me good results and I am highly satisfied with the product. More than the pure and superior quality of the oil, the packaging and timely delivery of product impressed me. Had a lovely experience shopping at your store and I will definitely buy more of these in future.